As an SEO company, we are always on the lookout for new content marketing tips and practices to share with our community. But before you do anything fancy, you must have a firm grasp on the basics of content marketing. Neil Patel shares 30 content marketing tips in his recent article on Quicksprout.com. Patel is an expert in his field and has helped big companies like HP and Amazon increase their revenue through online marketing techniques. According to the Wall Street Journal, Patel is one of the top influencers online. This is a must-read article for anyone who is considering content marketing. We will offer a brief review of his article and then will share which of his tips have most impacted the way we do things here at Farotech. According to Patel, content marketing is really the new SEO. But, he says that “creating a content marketing strategy isn’t as easy as it may seem.” Ranking well on Google takes time, expertise, and well-written content. Articles cannot rank themselves. You have to follow the advice of experts like Patel in order to be successful at content marketing. Before beginning your own content marketing campaign, Patel offers some basic tips to consider before you get started. Though all 30 of Patel’s tips are important and useful, we found five of them especially helpful for our everyday use and practice. Patel reminds us that no matter how brilliant your content is, no one will ever appreciate it if you never promote it. He recommends spending just as much time promoting your content as researching, writing, and editing it. It’s called “content marketing” for a reason. You have to step out and market your content and your product in order for the larger online community to find out about you and what you have to offer. The quality of online content has become more important than ever. Patel recommends producing good content over 2000 words to rank high on Google. But more than article length, the quality of content is important. Mediocre content will not rank well on Google no matter how long it ends up being. Your content also represents your business or company and you should always seek to paint yourself in the best light (of course, this is the entire point of marketing). Patel says you can utilize different types of content including videos, images, comics, or even infographics to get your point across. When typing up your content, it is okay to write casually and conversationally. Write content that you could enjoy reading. What Patel warns against is duplicate content. He says avoid regurgitating content; it’s the worst thing you could do for content marketing. Make sure your content is original and fresh. Just like anything else in life, content marketing results come with consistency. This is not a process which you can start and stop as you like. 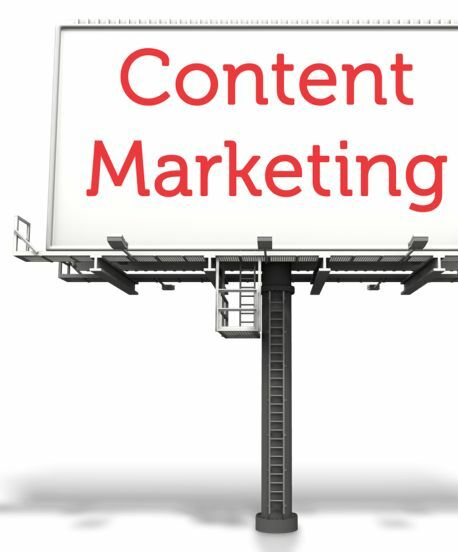 Content marketing is always important and your efforts in this area can’t go on vacation! Content marketing offers the best results long-term, so it is worth keeping up with. Settle in for the long run, produce quality content consistently, and Patel says that after about one year you will see solid results. He cautions the beginner with the followin g quote, “If you are going to start it, you have to continually do it even if you are tired and want to stop.” Patel offers statistics on why lacking consistency will cause your online traffic to drop significantly. To keep yourself on track, Patel suggests creating a content calendar, which will enable you to keep track of your efforts in an organized manner. In many ways, social media is taking the content marketing community by storm. With Facebook, Pinterest, Twitter and other social medium platform usage at an all-time high, now is the perfect time to utilize social media. Social media is “the easiest way to drive traffic.” Patel favors Facebook and Twitter for the best results. You can also use a social traffic tracking devices to figure out which content is doing well on which sites. Then you can target your content for specific social media sites for even better results. Along with all of these tips, common sense points to the fact that long-term effort will pay off. Patel states that “short term tactics…won’t be too effective in the long haul.” Instead of taking shortcuts or attempting to outsmart Google’s ranking system, focus your energy and attention on the tips listed above. Long-term techniques will always provide desired results in the long run. To Patel, the best long-term strategy is content marketing itself. 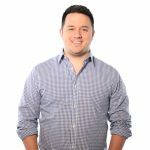 He suggests that valuable content and good writing will always benefit your customers, regardless of what changes Google or Bing may make along the way.